Values come from completed ebay sales over the past year and are updated quarterly. The values above represent un-restored examples of X-Men #1. When you are buying a comic book from this era, you always want to examine to see if any amateur or professional restoration work has been done. Restored copies are going to sell for considerably less than the values that are posted above of un-restored versions … so always do your homework before spending lots of money on a comic book that turns out to be restored. If you are selling your comic book, the above values do not represent CGC grading fees, ebay/PayPal fees and other fees associated with selling. A comic book shop, pawn shop or dealer will typically offer well under these range of prices because they are trying to turn around and sell the comic book for the price listed above – so be prepared to accept less than what you see above unless you want to sell the comic book yourself. 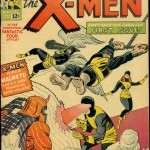 The front cover features the tag line “The Strangest Super-Heroes Of All!” – and while the X-Men might have been strange, they have a large fan base to this day. That has made finding an X-Men #1 comic book a rare find, as many have wound up in the hands of collectors over the years. With comic books this old, it’s all about the condition, and even a small condition issue up-or-down can mean hundreds, if not, thousands of dollars at final sale. 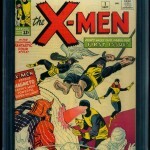 High grade X-Men #1 comic books are rare to find, and often command massive price tags. This entry was posted in Comic Book Values, Marvel Comics, X-Men, X-Men and tagged Comic Book Values, Marvel Comics, X-Men by Comics Watcher. Bookmark the permalink. I have the first original 13 issue of X-men that I believe are in excellent condition….kept in plastic sheaths. I do not have graded and need help getting this done. How much do you think that these 13 are worth. I wish only to sell them as a complete set. In terms of value – you should have no problem selling them as a collection. Recently issues #1, #2, #4 – #15 sold for $1,125 and the books had heavy wear. If your books are in excellent condition, you can easily get 4x that amount. The better condition issue #1, #2 and #3 are in will increase the value even further. X-Men #2 – #5 can be worth $300 – $500+ each. #6 – #9 are in the $200 – $400+ each and #10 – #15 are usually in the $100 – $250+ range. Hope that helps. Nice collection! There are several ways to sell your X-Men comic books. 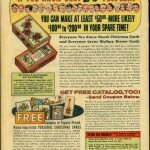 Popular options are usually eBay, Craigslist, Facebook, or collector shows. A comic book dealer would also be interested. Let me know if you have any further questions.